Thank you Dr Nghiem so much, I couldn’t be happier with my new smile – no longer having to hide my smile is amazing. 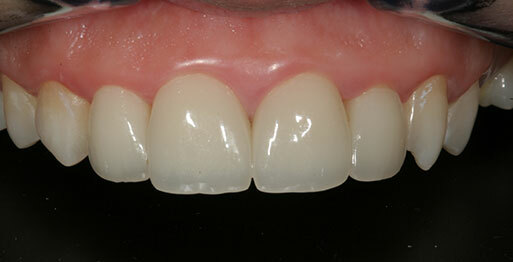 The service at UltraSmile was friendly, professional and basically excellent. I would recommend Dr Thang Nghiem to anyone. In February 06 I went to see a dentist to look at getting my teeth straightened out. I researched very heavily over the Internet about white fillings and teeth whitening. The day before I was due to go and have a very expensive consultation in Cannon St, an advert dropped out of one of my papers and I called the number. The receptionist could tell I needed a lot more information and passed me over the actual dentist so he could speak to me. I had never experienced that in all of my enquiries. After speaking with him, I decided to go for a FREE consultation. After that, I knew I had come to the right place. I came home quite upset after my in depth consultation. I am recovering from an eating disorder that ate away at my teeth. Part of my recovery for me was getting my teeth back to or better than they were before this disorder began to kick in. I came away with a quote that was less expensive than anyone else I had been to, but also still way out of my price range. I thought that only stars were able to get their teeth fixed (I even bought a lottery ticket on the way home!). After lots of consideration, I realised that the money was within my reach; I just had to get a little creative about it. Where there is a will there is a way. I was given a 5% discount for paying in full that really helped. Now, dentists and I do not have a great history. My knees knock and teeth chatter at the thought of going, and they did at my first couple of appointments but the professionalism and care that UltraSmile* showed was exceptional. Dr Nghiem and his assistants had the patience of a saint (make that a couple of saints!). Dr Nghiem’s passion for dentistry shows through in his work and manner. His dedication to making your teeth look great is boundless. This clinic makes you feel they have been waiting just for you all day. When I went in, I used to feel like the most important person in the room. Dr Nghiem would explain everything in laymen’s terms without making me feel patronised in any way. He was always very transparent with prices, treatment and any issues along the way. His concentration, attention to detail and perfectionism felt at times like he was working on a piece of art in my mouth. I needed reassurance in bucket loads. 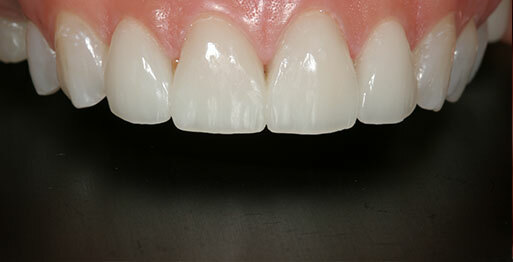 While I was happy to have my horrid grey fillings replaced, I was extremely nervous about having veneers. And even though I trusted Dr Nghiem implicitly by now, I was still nervous about having it done. I needn’t have worried. Even the lab that Thang uses is the best. My whole experience of rebuilding my teeth was wonderful. I felt I had five star celebrity treatments with this dentist. I would and have recommended him to friends and family. I get comments from people who haven’t seen me for a while. They cannot believe how natural and wonderful they look. I must mention Marcia their receptionist. She was just wonderful with trying to make accommodating appointments. She was always available with lots of drinks and reassurance. The area is beautiful, modern and clean. They are obsessed with hygiene so I felt safe about their equipment not being cross-infectious. I am a working mum with not much money to throw around, and yet it was (and is) money well spent. I feel more confident and ready to smile. My wedding photos looked amazing! I am really happy for anyone to contact me about having his or her teeth done who may be a bit nervous. Complete transformation. Thank you so much Dr Nghiem and the whole team at Ultrasmile.